Rita K. Owusu (Mrs.) is the head of the Airport City Branch. She is a product of the University of Ghana Business School with a Bachelor of Science Degree in Administration (Insurance option). A Chartered Insurer with the Chartered Insurance Institute, (U.K.), She also holds an EMBA from the Kwame Nkrumah University of Science Technology. Her insurance career started in June 2008 as an intern at the Broker Relations Unit of Star Assurance, where she was also given the opportunity to do her national service. In September 2009 she was offered a permanent employment as an underwriting officer. 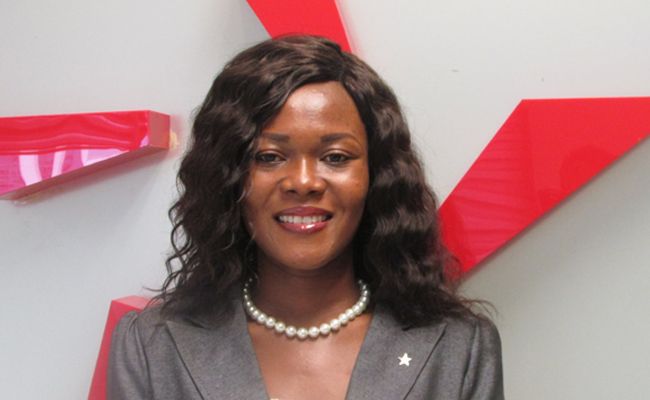 Having worked with the Broker Relations Unit for over three years, she was transferred to the Spintex Road Branch in 2013.